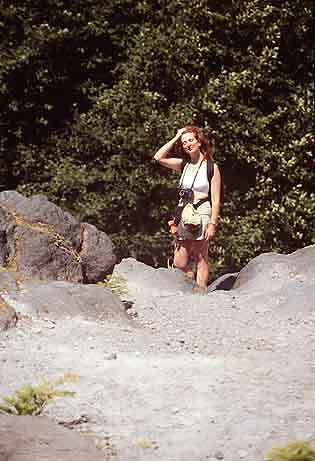 This is a photo of me on the trail of the Muddy River Canyon at Mt. St. Helens. I'd been hiking all day, on about 2 hours of sleep. I was ready for my afternoon nap!